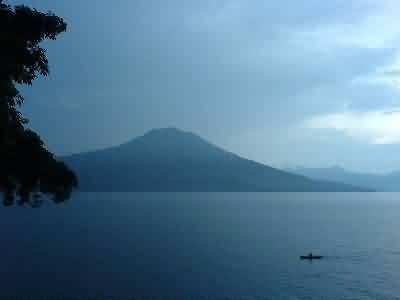 Ranau Lake is the largest lake in South Sumatera are located in the district Court of Appeals Southern District Uko. 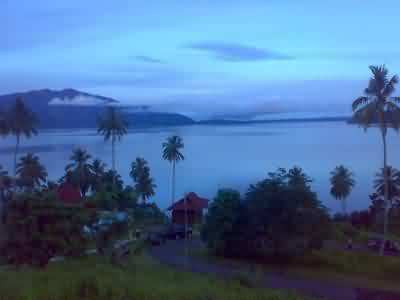 The beauty of Lake Ranau more irrefutable. However, the remoteness from the city center, Palembang, making this tourist object is like “mystery”. The beauty is shrouded in fog. Therefore, although beautiful, tourists who visit the lake is not many. Just as the origin of the lake which is still a mystery. Although scientifically it was formed through a natural process, local communities believe there is a mystery behind the creation of this lake. 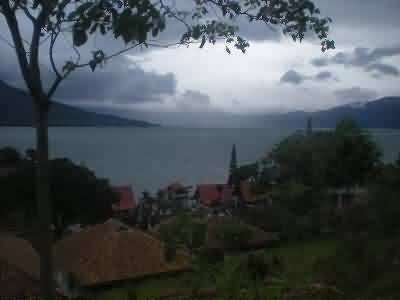 Lake Ranau which has an area of about 8 × 16 km with a mountain backdrop Seminung (± 1880 m altitude above sea level), surrounded by hills and valleys. At night the air is cool and sunny in the daytime, temperatures range between 20° – 26° Celsius. Located on the position of 4°51’45” south longitude and 103°55’50” east longitude. In theory, this lake was created from a large earthquake and volcanic eruption that made a big basin. Major rivers that formerly flowed at the foot of the volcano then turned into the main water source to filling the basin/hemisphere it. And eventually that big hole fully filled with water. Then around the new lake began overgrown with plants, including the bush called ‘Ranau‘ by the local people. And so the lake was named Lake Ranau. Rest of the volcano now become Mount Seminung that stands firm on the edge of the lake. On the other side of the mount Seminung there are natural hot springs that come out from the bottom of the lake. There is also a beautiful waterfall named Subik. 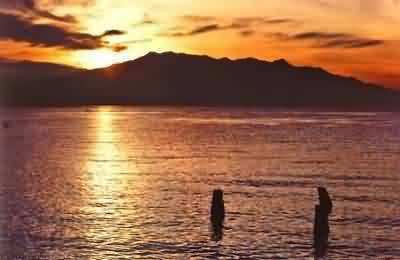 Another interesting place to visit is Marisa Island not far from the hot springs. 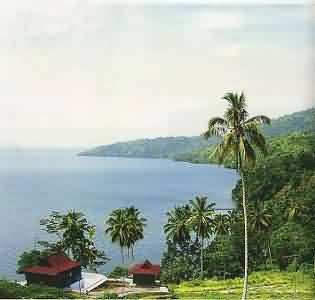 Danau Ranau is about 340 km from Palembang, the capital of Southern Sumatera. The trip by paved road from Palembang takes about 7 hours via private car, minivan, or bus. Palembang has the largest airport in the region, servicing direct flights from Jakarta and a few other local Indonesian cities.